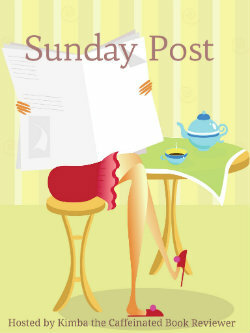 This is my 200th Sunday post! Somehow that seemed worth mentioning it and it was fun to type those numbers. As I never missed a week that means I’ve been blogging for 200 weeks now. In December is my fourth blogoversary. This was a bit of a meh week, but with some fun things happening as well. It seems I caught a cold, as since last sunday I’ve been feeling pretty bad. It lasted almost the whole week with ups and down. I am feeling a bit better now, so I hope it will be fully gone soon. I did do a lot of work as usual, but also took more frequent breaks. My sister stopped by for a visit this week and it was fun to catch up with her. She just finished reading the Nogiku series by SJ Pajonas and it was great to talk about the books with her, we thought the same about a lot of things. I did a guest post over on Because Reading is Better than Real Life! 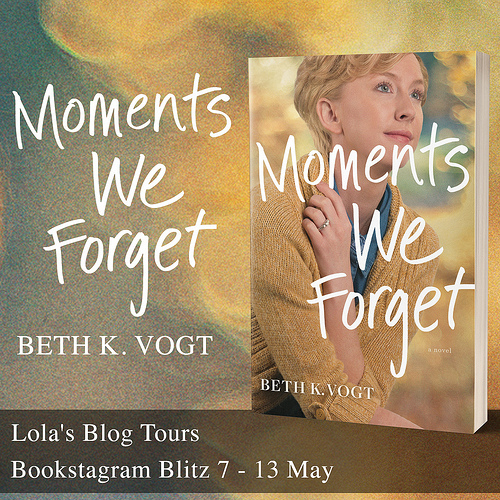 A big thanks to Michelle for having me over on her blog! 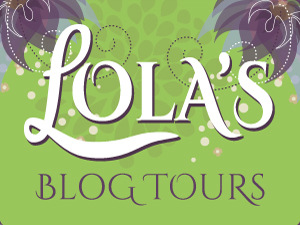 I talk about why I love reading about werewolves/ shifters and talk about the Otherworld series by Kelley Armstrong. And one more good thing that happened this week. I managed to get caught up with comments last Sunday and I think I’ve been doing reasonably well with keeping up with them this week. So that makes me happy. I haven’t done a lot of blogging this week with me being sick and having work to do, but I did write one post and did do some commenting. 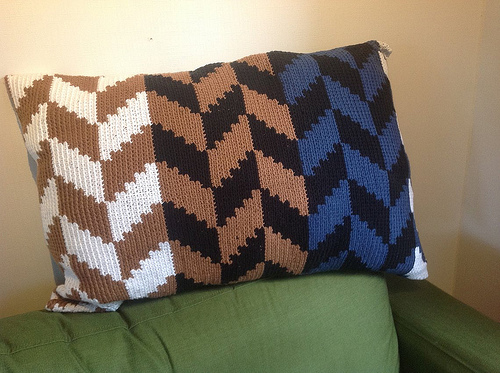 This is something I bought this week, it’s called a “speculaas staaf”. It’s going to be a bit difficult to explain this one and what it is. Here in the Netherlands we have another holiday before Christmas, it’s classed Sinterklaas. There is a lot of candy and food that only is sold around Sinterklaas and while in the US you might find Christmas goodies in stores now already, for us that is Sinterklaas goodies, the christmas goodies only come later. This is one of those products you usually only find around sinterklaas. It’s a speculaas flavored dough with almond paste inside. Speculaas is a mix of spices, with mainly cinnamon and some other spices. And around Sinterklaas you see a lot of Speculaas flavored things, like kruidnootjes, muffins, big flat cookie like squares that taste of speculaas and even speculaas spiced dough with almond paste. 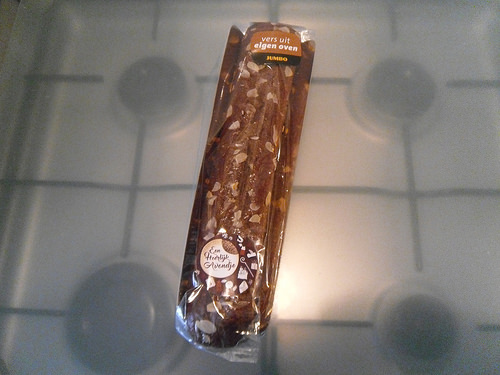 What I bought this time was the bar/ rod version of speculaas spiced dough with almond paste inside. I really like it! I walked into this grocery store and the whole store smelled like Speculaas from the bakery department, it smelled delicious, so I just had to buy something speculaas flavored. 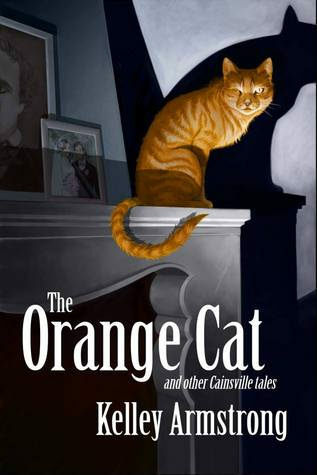 The Orange Cat and Other Cainsville Tales was an e-book you could get when you pre-ordered Betrayals, books 4 in the Cainsville series. I love this series and had book 4 pre-ordered so I didn’t hesitate to claim my copy. It was a fun book with 3 short stories/ novella’s set in the Cainsville world. Perfect for fans of the series. I won’t be posting my review on the blog, but I did write a short review on goodreads. I am still reading Pets in Space, which is a pretty long box set, so that’s why I haven’t finished as many books as normal, but I am almost finished with this one :). And I am doing a beta read as well now, so no cover or link to goodreads yet. 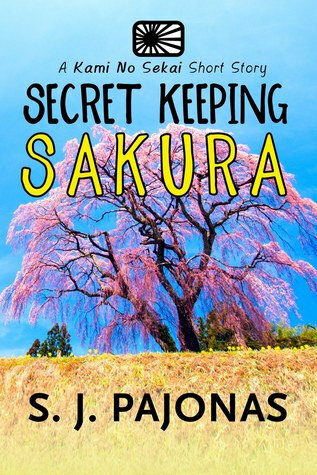 I already got Secret Keeping Sakura last week, but forgot to list it in my Sunday post. So I decided to list I this week. I love this series of short stories about kami and Pajonas is one of my favorite authors, so I am looking forward to read this one. I got a copy from the author. 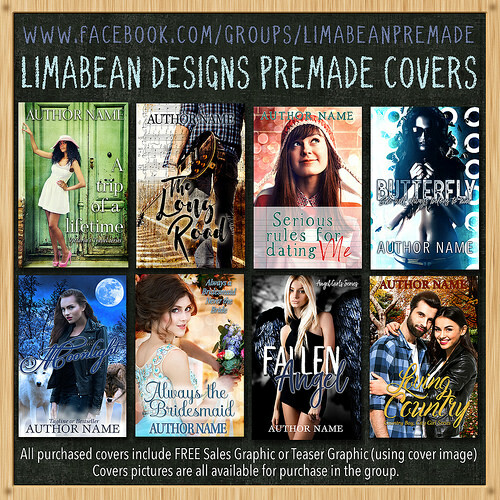 If you’re interested in reading this series, you can get the whole series for free when you sign-up for the author her newsletter! Pressed to Death I got through netgalley, I enjoyed the first book in this series and am looking forward to this one! I got Accidentally on Purpose from Edelweiss! I was surprised they accepted my request as I didn’t got book 2 and the novella, but I am glad I got this one. 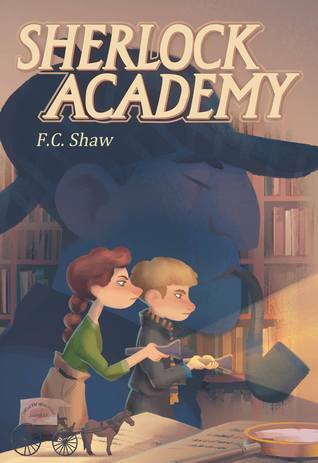 Sherlock Academy sounded interesting, so I bought it. 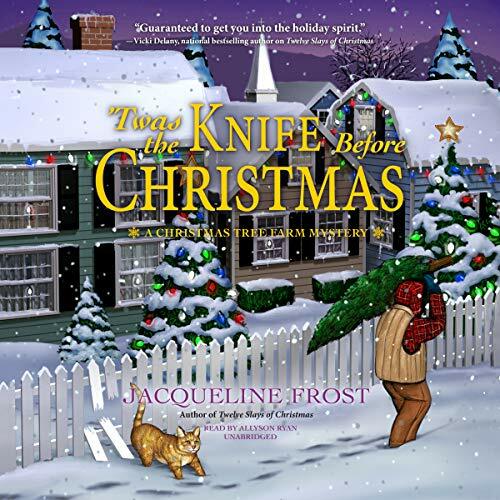 I like MG mysteries and this one sounded like a fun one. I got the following freebies this week (they were free when I got them): Gertie’s Paranormal Plantation (Paranormal), Beyond the Veil (Urban Fantasy), The Sixth Domicile (dystopia), Murder at Cookie Lane (Cozy Mystery), Relentless (Paranormal/ Vampires), Cypher (Science Fiction) and The Asgardians (Mythology/ Fantasy). 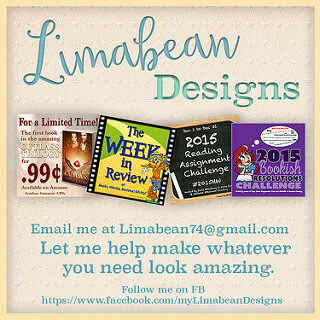 Do you like how I link these books to goodreads or would you rather I link to amazon instead? Just curious! Yay, Sinterklaas celebrating is back. I loved your descriptions of the baked goods and candy for the holidays. I’ll bet the cinnamon and spices from your loaf smell great. Ha! Yes, Pets In Space is a long one. Look forward to your thoughts on the last half of it. Neat that you got the bonus book from the pre-order and it was a fun read. Nice haul. Isn’t it curious sometimes what they approve for at Net Galley and Edelweiss? I’ve been approved for a second book in a series when they denied me the first one or I get approved for a first one long after I got and read the second one. 😉 Fun times! I don’t mind the links to GoodReads. I like to read their blurbs and explore the reviews before heading over to Amazon for a purchase anyway. Have a good week, Lola, and hope you’re feeling better. Yes it was so awesome to type that 200 and realize I’ve been doing this feature for 200 weeks now. I checked Kimba her number for the sunday post and saw that it was #235, so it seems like I joined this meme quite early. Sorry to hear you also were sick this week :(. I love the smell of speculaas, it’s a really nice smell. I like all the yummy candy available during this time :). I might have to make some speculaas bakings soon as well. I didn’t realize Pets in Space was this long, but on the other hand I also like that as it means there’s enough length for each story. I only have two stories left to read! Sometimes I really wonder how the publishers are thinking about who they approve on netgalley and edelweiss. 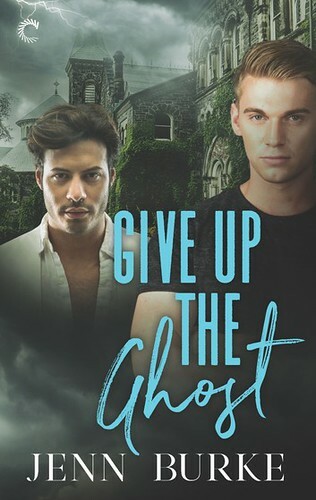 Of this Jill Shalvis series I got the first book, then I requested the other books as well thinking I would have a chance to get those too and I didn’t get book 2 and the novella, but did get book 3. It really puzzles me sometimes. It always felt natural to link to goodreads, but as most people buy on amazon anyway I was suddenly wondering if that would be handier. Aww, sorry about the cold :-/ Feel better! Congrats on 200 Sunday Posts! That’s awesome 🙂 And the speculaas staaf sounds really good! I want to try it now. It’s really confusing sometimes why some people get approved for a book but others don’t or why we get some books and not others. Speaking of review copies though, I still haven’t heard back about the Erin Hayes books :-/ I’m getting impatient. I’d like it if you linked to Amazon for the freebies since that’s where I go as soon I get to the GR page anyway since I’m not worried about seeing reviews for a free book, but other people might prefer GR still. I just link to Amazon most of the time on my blog because I have a plugin that gets the image and inserts the link for me, which means it’s less work for me that way. I don’t know if I have the energy right now, but I’ll definitely go check out your guest post soon 🙂 Have a great week! I am still a bit sick, but I feel like I am getting better, so that’s good. The Speculaas Staaf is really good! It’s a shame they don’t have speculaas much outside of the Netherlands, although you can make the spices mixture yourself. It sure is confusing sometimes what they approve and what not or how long you have to wait. That’s weird you still haven’t heard back of the Erin Hayes books, on which site did you request them? Maybe you can contact them or do they give an indication when you will hear back? I’ll think about it whether I want to link to amazon instead, I think most people get their books there anyway, so it might be helpful to link there instead of goodreads. Not sure yet as I am so used to linking to goodreads. I swear I saw somewhere that you’d hear from them within two weeks if you were approved. So I’m gonna wait another week before I contact the author or do anything. How terrible would it be if after all this anticipation and effort I end up hating the books, haha. Within two weeks is pretty long, or maybe that’s just because I am would be impatient to know if I get the book(s) or not. Let’s hope you hear something next week. I think it’s unlikely you will hate them, but guess we’ll see what you think of them when you finally get them :). Hope you are feeling much better now. There is nothing worse than when you feel sick! Congratulations on your 200th post! I do feel better, but still a bit sick and not 100% back to normal yet. I never missed a Sunday post in all those weeks, although I think I once gave a Sunday post two numbers when I missed a week. Sinterklaas is quite fun, it’s mostly aimed at kids. But I still love Sinterklaas time and all the yummy candy they have during this time. My sister reads mostly high fantasy, but there is some overlap in our reading tastes as well, so sometimes I recommend her books I think she will enjoy. It’s fun to talk about books together. My sinuses have been beating me up this last week but its normal for me this time of year. I have been taking some stuff to make sure it doesn’t get bad, need to take the Air Conditioners out of the windows to get fresh air in the house, that always helps. Awesome job being able to blog while not feeling well that is a challenge. Speculaas Staaf (i copied that from above because I didn’t think I could spell it myself, lol) looks really good. I wish the US would slow down on the holidays but it’s all about the money, where as I enjoy it for all the fun and magic. Wish they sold different stuff like that in stores but most of the time, you can get all kind of different goodies from Epcot in Disney. I always like going to find all the yummy treats from different worlds. I don’t get as sick often, but this time it hit me quite hard and I still don’t feel fully back to normal again. It was only one kitchen post I got written, but I am still glad I got at least one done. I figured Speculaas Staaf would sound a bit weird to US people and it took quite some time to properly explain what it was and why we have it, but it was fun to talk about Sinterklaas. Here they start with Sinterklaas candies in september nowadays, it’s pretty commercial too, but I still like how they kept a bit of the fun and magic feel. And besides those few months, you can’t really find much of the candies, so that does make it special. And I personally love all the speculaas goodies, so I don’t mind as much they start early with it ;). I hope your feeling better, colds are yucky. Your Sinterklaas reminds me of something we have around here, it’s a local thing not holiday related, but we have a Historic Cider Mill which makes apple cider and these amazing apple cider doughnuts and you can only get them from the beginning of Sept to the beginning of Nov. People come from all over to get these treats. It’s probably not exactly the same but that’s what your description reminded me of. Hope you have a great week! That sounds like a fun local tradition and if you’re only to get those products for a limited time it makes it feel even more special! Sinterklaas is mainly a holiday for kids were they get presents, a bit like Christmas, but with a different feel. I always like the candy they only sell during this time. I hope you feel 100% soon. Since they are cutting down the crops here, my allergies are driving me crazy. Pressed to Death looks really good. Since my comments have been fixed, I really need to catch up on them. I hope so too! I am sorry to hear about your allergies. 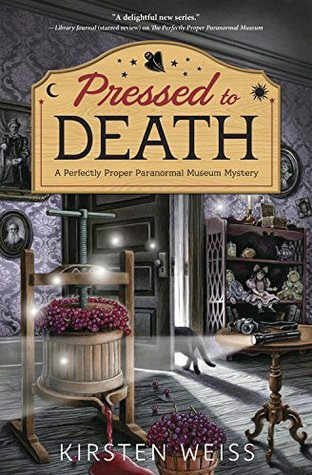 I am looking forward to reading Pressed to Death! Congrats on your 200th Sunday post. This will be my first Sunday post, and it seems like a fun place to share from what I have read so far. I am also trying the BlogAhead challenge for the first time, my end goal is 34 posts. Love your dinner schedule from last week, looks like great eats. Nice post, thanks for sharing. Congrats on your first Sunday Post! It’s such a fun meme and I like the chance to recap my week and share some pictures and news each week. Good luck with the Blog Ahead challenge and I hope you’re doing better than me so far ;). Wow, 200 Sunday posts! I have no idea how many I’ve done. I’m going to have to check. At one point I was numbering them, but then I missed a few weeks here and there and my numbering got off, so I started making the title descriptive instead of numbered. I’m so interested in your holiday. You’ll have to do a post about it, I know I find learning about other cultures so interesting! It sounds kinda like Santa clause when I read it phonetically, with an I instead of an a, is that how it’s pronounced? And is it relates to Christmas at all? See, so curious! Oh and I like the goodreads links. I can go straight to Amazon for there, but it lets me see the book and also easily add it to my shelves if I decide to grab it. Have a great week – hope you’re feeling better!! I kept numbering as I wasn’t sure how to name them else and numbering seemed like an easy way to give them all a different title. And as added benefit it’s fun to see how many of these I’ve done so far. Yes it does sound a bit like Santa Clause when you pronounce it. I do think Santa Clause is loosely based on Sinterklaas and Sinterklaas is loosely based on someone historical/ religious. Not completely sure. Sinterklaas and Santa Claus (we call him the Christmas man) both look similar, although there are some subtle differences in their clothing and hair. 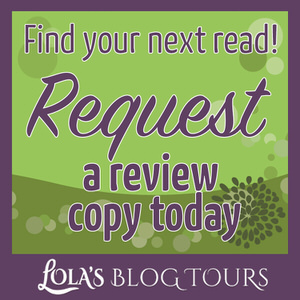 Glad to hear you like the goodreads links! I absolutely love things that are flavored cinnamon. Other spices are ok along with it as long as that cinnamon is in there too so that sounds interesting to me. Hope you are feeling better now. Being sick is no fun. I think the cinnamon makes up half or 2/3 of the speculaas spices mix. I am pretty sure I posted the recipe for it once on my blog, but here you can simply buy speculaas spices which is even handier. Speculaas spices itself aren’t sweet, it’s a spice mixture of cinnamon with some other spices. But most speculaas flavored things are sweet, but that’s because of the sugar they add, not the speculaas itself. The Speculaas staaf is sweet, but not too much. It’s very flavorful as well. Nice guest post over at Michelle’s. The Orange Cat looks good, and I enjoyed the Kelley Armstrong book I read. I’m looking forward to more of her stuff. Love the sound of that speculaas staaf. Sounds yummy! I think I missed one week when I went on a vacation and then numbered the next post with two numbers, but I think that’s the only one I ever missed. I am feeling pretty okay today, so it lasted about a whole week the being sick. No fun. Glad you enjoyed my guest post on Michelle her blog! I really enjoy Armstrong her books and the short story collection was a nice little extra for fans. Yes that’s good comparison! They make everything here with speculaas, but I love the taste, so that’s good ;). Pumpkin is getting more popular over here slowly, at least we can buy pumpkins int he grocery stores now, which is neat as a few years ago you only could find them during October if you were lucky. I am mostly feeling better now. That’s fun you also got the Sherlock one! It sounded like a good one. Braine recently posted…Bought, Borrowed & Bagged  + My First Video! I took some meds when I felt really bad and I am glad to finally feel better now. Colds are nasty. Hope you are feeling better. No one likes to be sick. I got sick at the begging of the week a nice stomach bug that I caught from my son who was sick the two days before. I did everything I could to try and not to get sick, but no luck. We had family last weekend visiting too. They have only been out to see us once since we moved out to CA almost 3 years ago. And of course I got to talk books with my aunt in law, Ya! It was so fun to share with her new books I felt she need to read and she did the same, plus I showed her my blog and how to request books from me with the borrow from my library. It was great. Have a great week and enjoy your book haul!! I am feeling better, just a bit snotty still. Stomach bugs are really nasty! It’s nice to visit with family and even better if you can talk books as well. So sorry to hear that you’ve been sick. I hope that you are feeling all better now. I personally prefer when links for freebies go directly to the site where they are available. Also I have a Right-click to search Goodreads if I want to. I mostly am feeling better now. I usually go with goodreads as there you can add it to your to-read list and everyone can pick to which site they want to go. Although I am sure most use amazon. But I might change the links to amazon, not sure yet, it seems some prefer goodreads and others amazon. Congrats on blogging for 200 weeks, and wow, you’ve never missed a Sunday Post! That is dedication. Sorry about the cold – I’m dealing with some allergies right now and it’s no fun. Let’s Get Beyond Tolerance recently posted…Simon Vs. The Homo Sapiens Agenda is Becoming a Movie! I really like this meme and make sure to do it every week :). Glad to hear you enjoy hearing about my life in the Netherlands. For me it’s normal, but it’s interesting talked to people who don’t live her about typically dutch things and hearing everyone’s reactions :). I’ve managed to avoid getting a cold for the last two years so I hope that continues this year! I used to get four or five sinus infections in a row during the winter. It was awful and I always needed antibiotics. But two years ago, I decided to not go off anti-histamines in the winter, which is what I usually did. I would take Claritin until the first hard frost and then stop. Not anymore. I take it all year round, and since then, I’ve stopped getting colds. So now I know that my colds are triggered by allergies! I haven’t gotten a cold for a long time, so I was surprised I got one this year. Maybe I pushed myself a bit too hard in the last few weeks. Speculaas is so good! No, this one I bought didn’t need to be baked, but they do have a few you can warm up or have to finish baking. This one was freshly baked in the store, the whole store smelled like speculaas! It was so much fun to discuss the Nogiku series with my sister, we both agreed it was sad a certain character died in the last book ;). She really enjoyed the books and your writing style, so I am encouraging her to give some of your other books a try too. Congrats on 200 Sunday Posts! That’s fantastic, Lola! I’m happy your week went fairly well despite your cold and I hope you’re feeling much better today. Colds are the worst, I think. But you still got a lot done. Kudos! It’s wonderful that your sister visited and you were able to talk about books! That’s a favorite topic for me – especially when someone has read a book I also enjoyed. 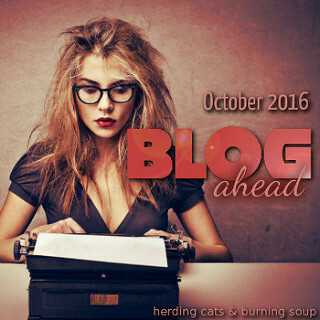 *Cheers* for Blog Ahead – keep working at it! Have a great week, Lola!! It was fun to type number 200 for the post :). Colds sure are nasty, I am glad I am finally feeling better again. It was so fun to be able to talk with my sister about books and it’s one of my favorite series and almost no one has read it, so that’s even better. I keep slowly working on the posts for Blog Ahead, got another post done today. Not doing as well as I had hoped, but every posts counts. Glad to hear you like the freebies linking to goodreads. So far I’ve heard people who prefer goodreads and those who prefer amazon. maybe I have to see if I can do both, lol. Okay, I clearly need to start googling Speculaas recipes because it sounds amazing. I’d much rather walk into a store and smell that then the overly synthetic cinnamon smell that punches you in the face every time you walk into a grocery store. The smell of Speculaas is delicious and it really tempted me to go and buy something with speculaas. Sorry you’ve been battling with a cold and I hope you soon feel your old self:). Speculaas sounds completely yummy – I’m very fond of both flavours and I can imagine they match each other perfectly… Many, many congratulations on your 200th Sunday Post! Have a great week, Lola. I am feeling better, but still a few after effects from the cold like coughing. Speculaas is really good! I bought speculaas muffins this week, might have to take a picture of those so I can share them in this week’s Sunday post. Darn on having caught a cold. Seems that hit a lot of people this week. Hope it passes soon! It’s crazy how the blogging weeks add up! Woo on almost 4 years! Hope this week is a bit better for ya! I am feeling better, but still a few after effects from the cold. It really is crazy to realize how long I’ve been blogging, those weeks sure add up. As you can see I am hopelessly behind on my blog visits due to having two eye surgeries, two weeks apart. So, sorry this is so late. Sorry also to hear you had a rough week with your cold. So not fun! As far as your book haul, I can’t wait to see what you think of Relentless. I really love the whole series. Those eye surgeries sound scary! I hope everything went well! I got Relentless after reading your review for it, I hope I’ll enjoy it!